Months ago, long before the West African Ebola outbreak became international news, one American radio host pretty much predicted what the United States is experiencing right now. His name is Dave Hodges, and he's the guest on this week's edition of Off The Grid Radio, as we ask him what he thinks is going to happen next. Ebola is certainly deadly, Hodges says, but (mostly) everything else you've heard in the mainstream media about Ebola is wrong. Why the US government is dragging its feet in stopping Ebola – and how the lack of a secure border could escalate its spread. 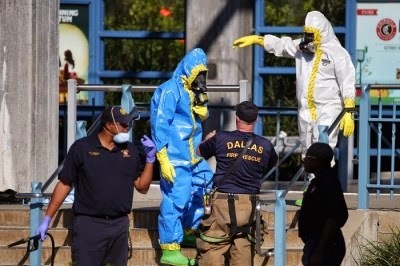 How the fear of Ebola could shut down the US economy, even without Ebola spreading widely. What the US government should have done to stop Ebola, and why it intentionally failed to take the necessary steps. How "following the money" can tell us a lot about Ebola, corporate America and the US government. Why he believes a cure for Ebola may have already been discovered – and why we don't know about it yet. All hope may seem lost, but there are actions Americans can take that can have an immediate impact. Listen as Hodges – who is best known for his Common Sense Show – shares what you can do. Click here to listen to this week's interview. Want to share Off the Grid Radio with your friends and family? Each week's episode is now on CD! Go to your favorite episode and order your copy today.